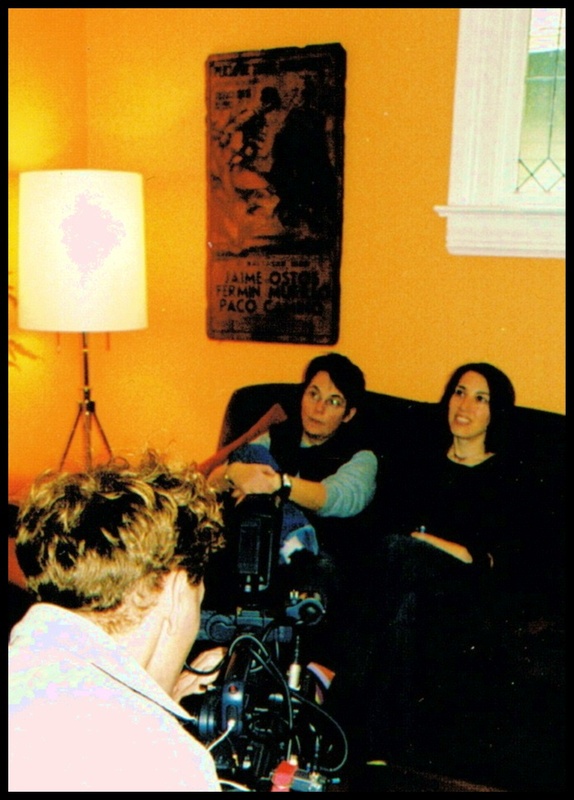 Production still shot from the film, Switch: A Community in Transition. What if your favorite co-worker told you she was going to become a man? What would your response be if a friend from church told you the same thing? Or, what if he was your brother-in-law or she was your aunt? Your best friend from school? Your spouse? Switch: A Community in Transition is a new documentary that explores these responses from one community comprised of co-workers, congregants, friends and family. 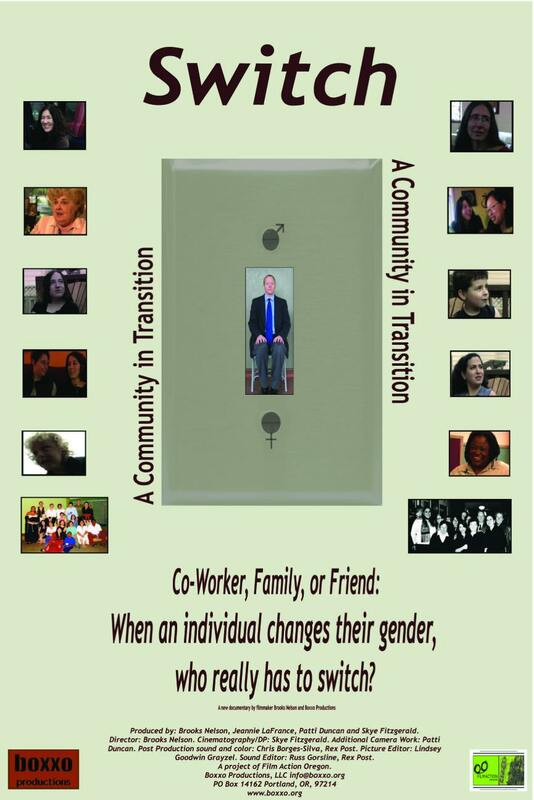 Produced by Portland, Oregon filmmaker and longtime activist Brooks Nelson, this documentary explores the impact of a gender transition not on the individual going through transition but on the surrounding community of family, friends, co-workers and others. The primary focus of Switch: A Community in Transition is the experience of Nelson's own gender transition and how through the process he became aware of how much the responsibility for change fell on the people around him. Friends and family have to switch language, switch gender pronouns and examine their own attitudes and what it means to be male and female. The film also highlights different roles and responsibilities of each individual to reinforce their own and others' gender, race, physical ability and the different identities that make us individuals. This film is by no means the sole definitive work on community responses to gender transition but it is entertaining, frank, and finely crafted. Switch: A Community in Transition presents extensive information as well as heartfelt sharing about what it means to have a person in your life transition. We all know someone in this movie - the mom, the boss, the best friend - and no matter our own relationship to gay or transgendered people most of us will leave the theater asking, "What if?"